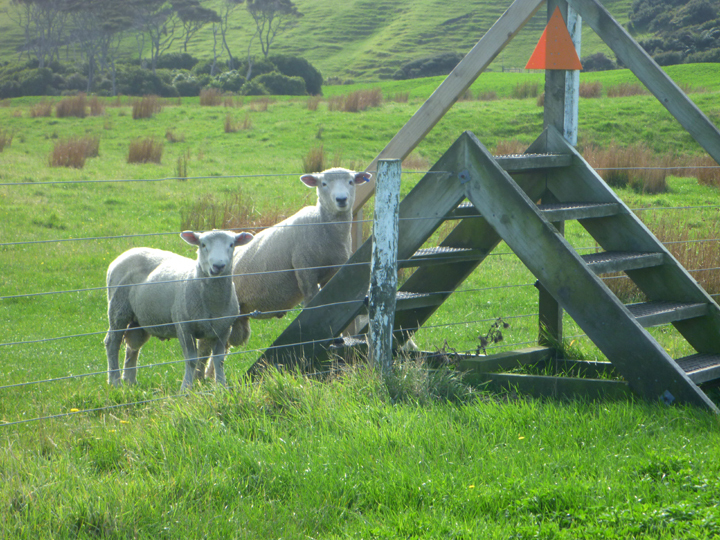 It’s been an active week since my last posting as we explored the northern reaches of the south island before heading across the Cook Strait to the north island tomorrow. 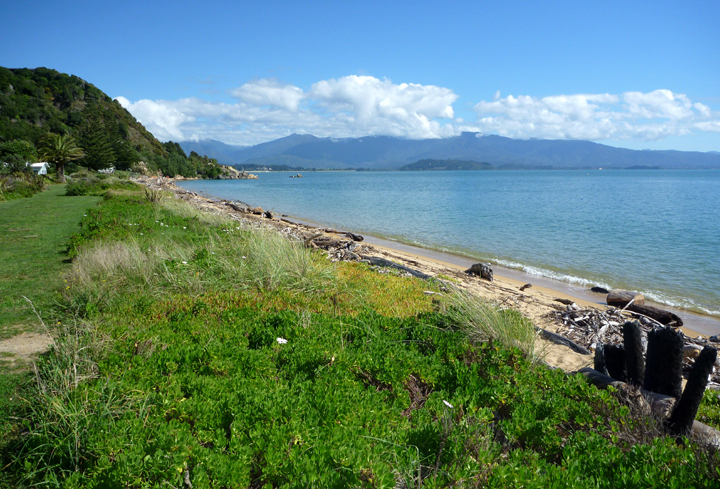 Our first destination after leaving Nelson was an area referred to as Golden Bay. 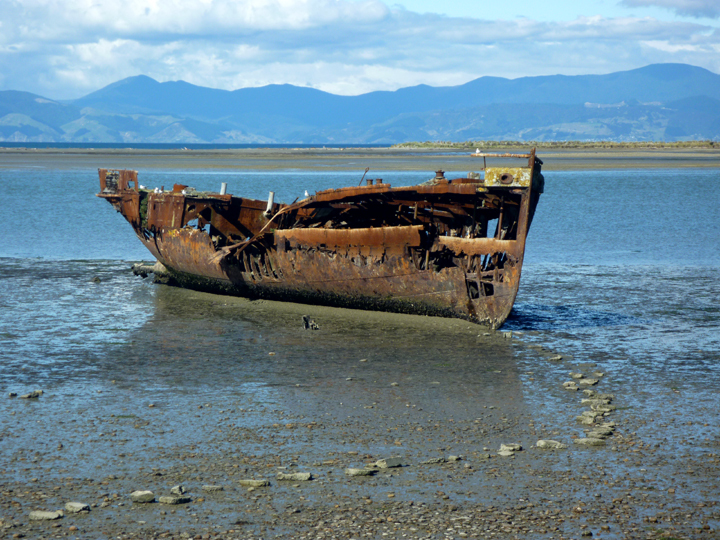 Can’t resist photographing a rusty hull. 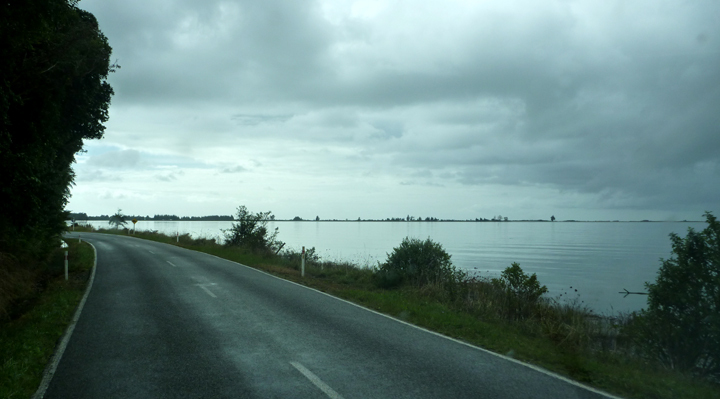 This one lies near Motueka. 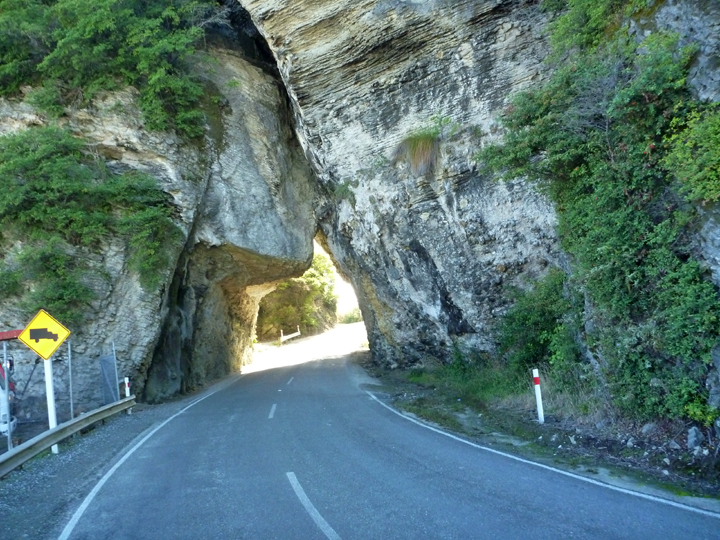 To reach Golden Bay you first must drive over legendary Takaka Hill. 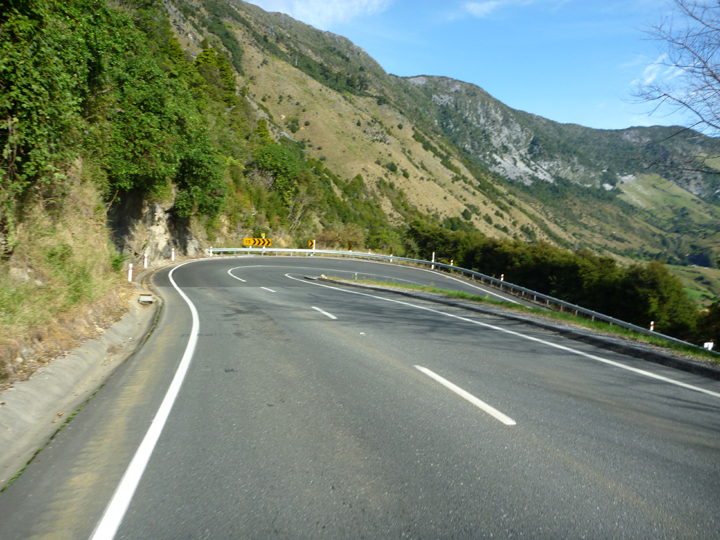 With innumerable twists and turns, including some almost 320 degree hairpins, it can be challenging. Luckily Al was up for it! Here’s what the road looks like on my iPad map. 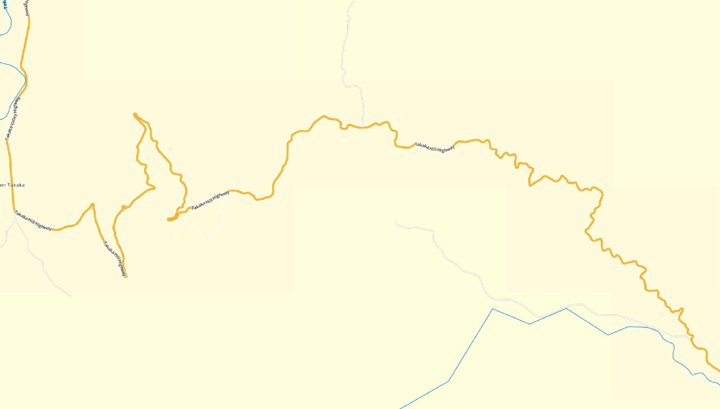 And here’s one of the hairpin turns. This is the view as you begin coming down the north side of the hill. 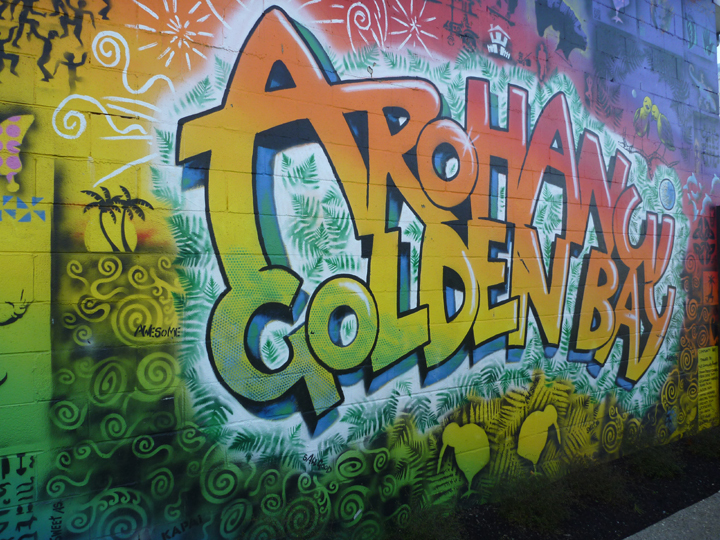 The town of Takaka is a colorful place. 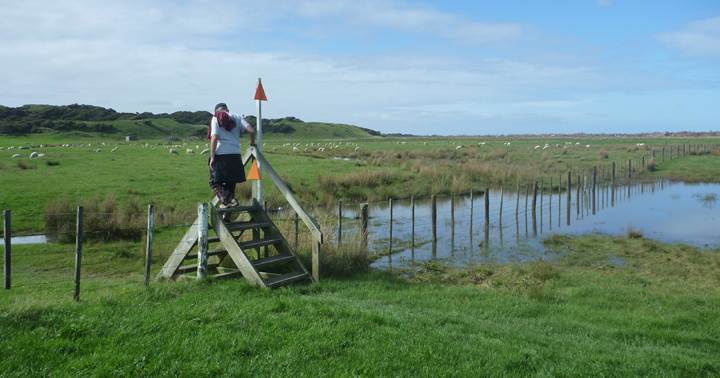 We took a beautiful walk around Te Waikorupupu-Springs. 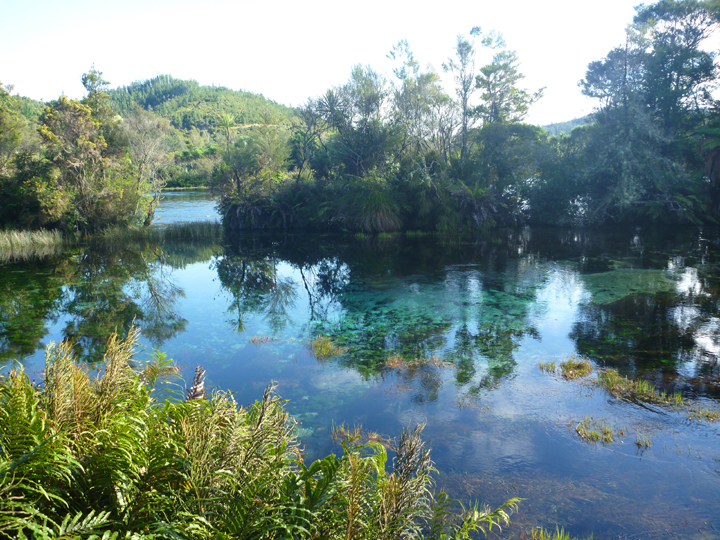 These are the largest freshwater springs in New Zealand and the largest cold water springs in the Southern Hemisphere. The water here is very close to optically pure, with clearer water found only beneath Antarctica’s near-frozen Weddell Sea. A bit further north in Collingwood, I enjoyed a few handmade truffles from Rosy Glow. 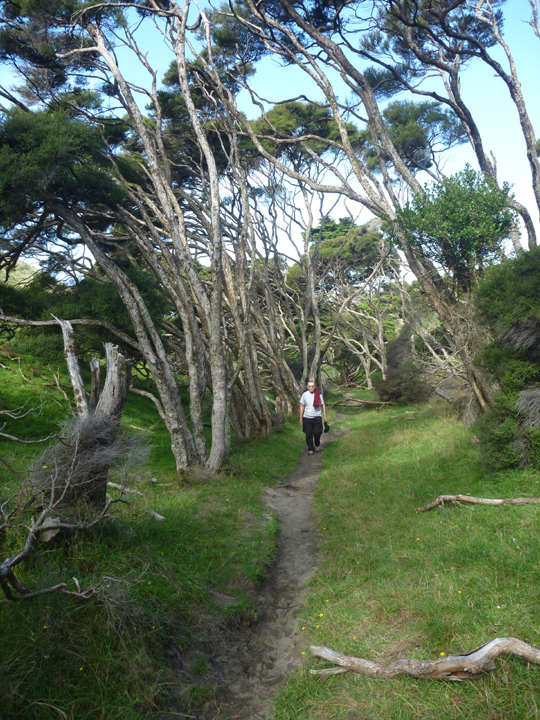 We then headed on towards Farewell Spit at the northernmost point of South Island. 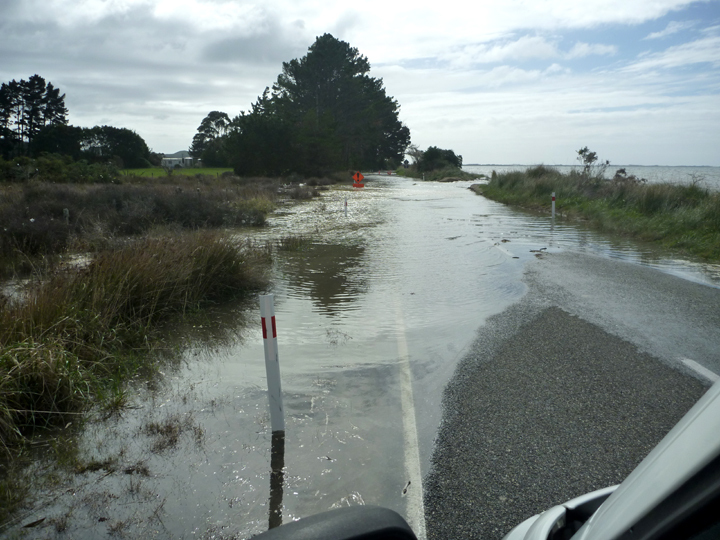 But the “King Tide” stopped us in our tracks. Along with a few other tourists. 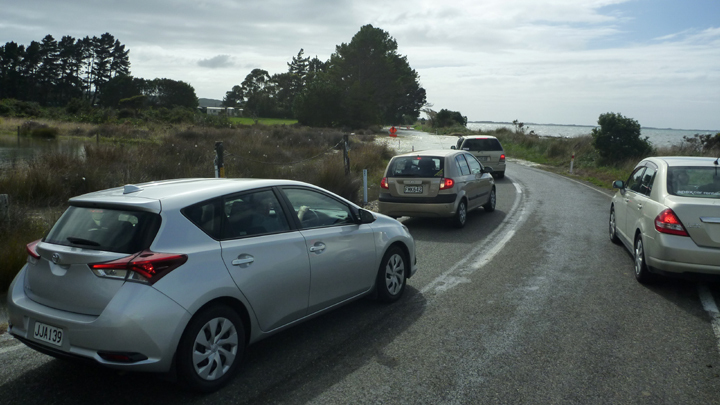 Luckily we had the time to wait for the tide to recede, which took about 90 minutes. 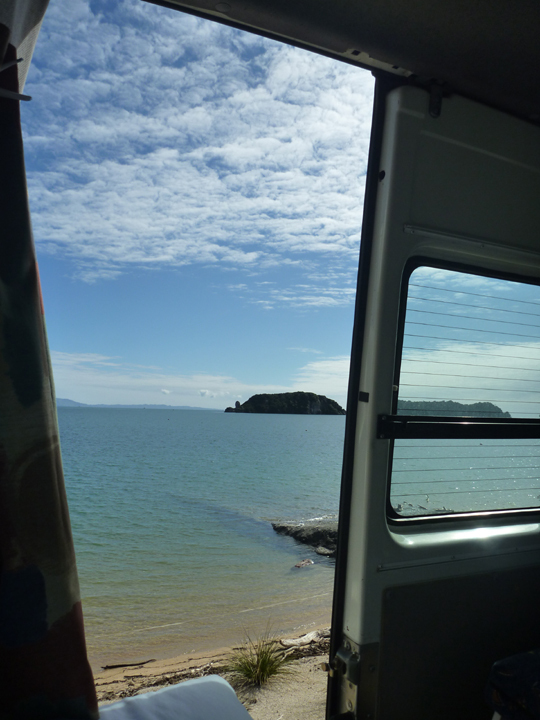 We went to a nearby bay and took a lunch break. 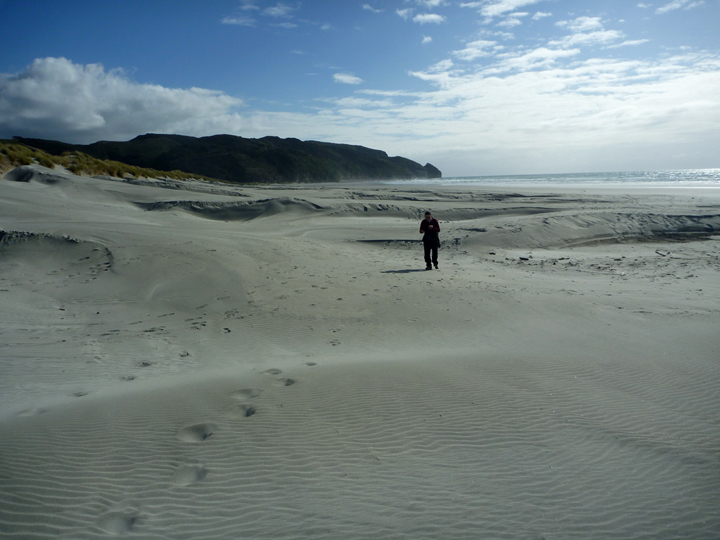 Farewell spit is the longest sand spit in New Zealand, stretching for about 26 km above sea level and another 6 km underwater. Can’t fit it all onto a photograph. We took a hike from the Visitor Center to Fossil Point, which first took us across some slightly soggy private farmland. 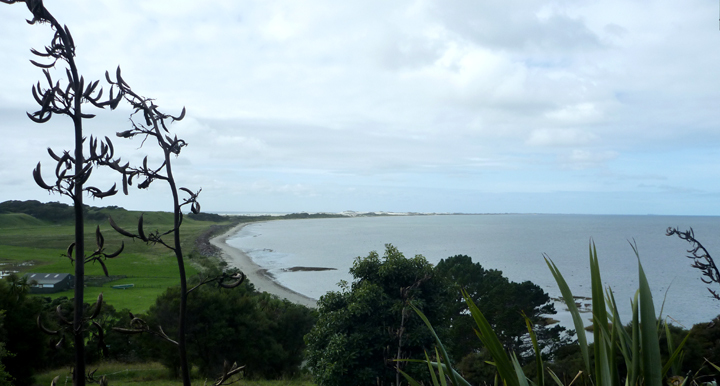 And onto this vast beach at the foot of the spit. 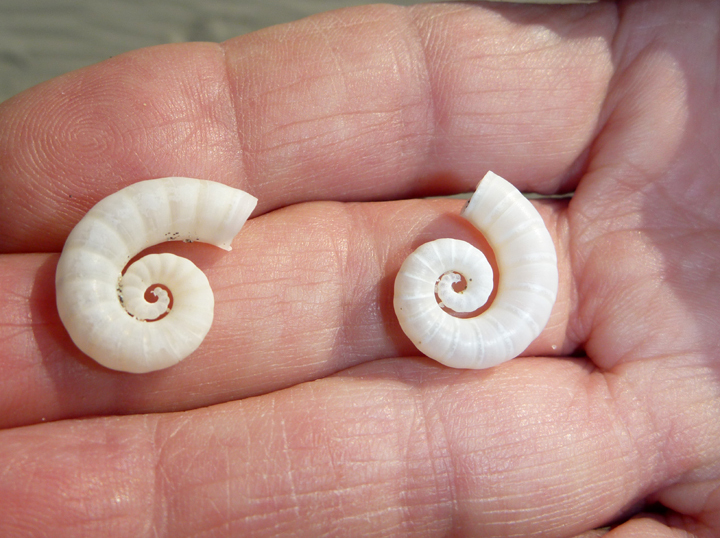 Where Al found these remarkable sea worm shells. A bit of Googling and we found that they are from the inside of a Rams Horn Squid! The next day we took a drive out to Pohara. Where we enjoyed lunch at Tata Beach. So many beautiful beaches here! Way to negotiate those hairpin turns! 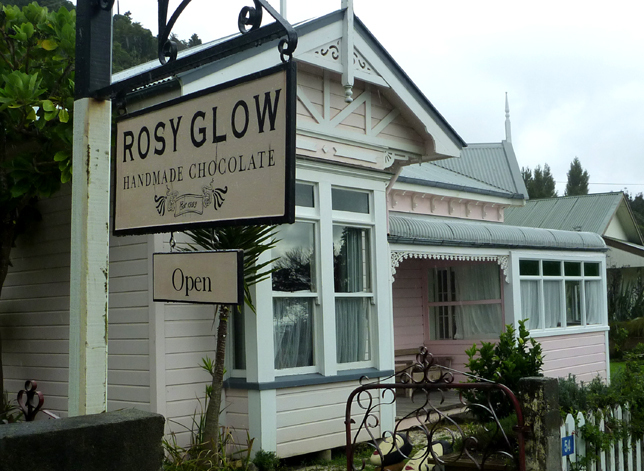 Fun to see snapshots of colorful Takaka. And love the cool freshwater springs! Amazing those shells from inside of a ramshorn squid! Nature! Can’t beat that view out the back of HaRVy! 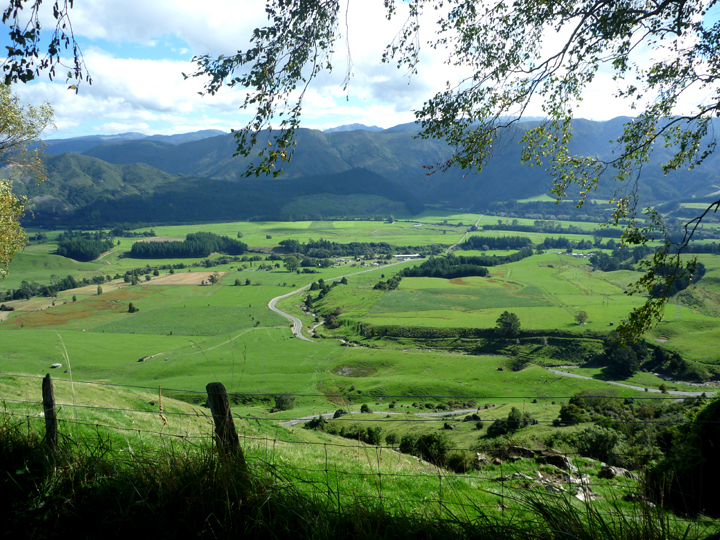 It seems, no matter where one travels — NZ, China, USA, Europe — the beauty of the landscapes is wonderous. 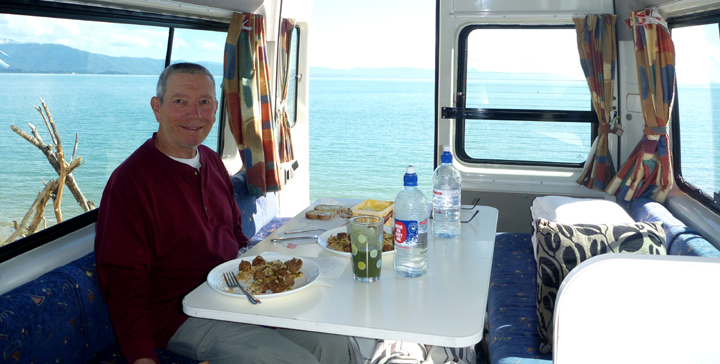 Like your dining area on this rig. 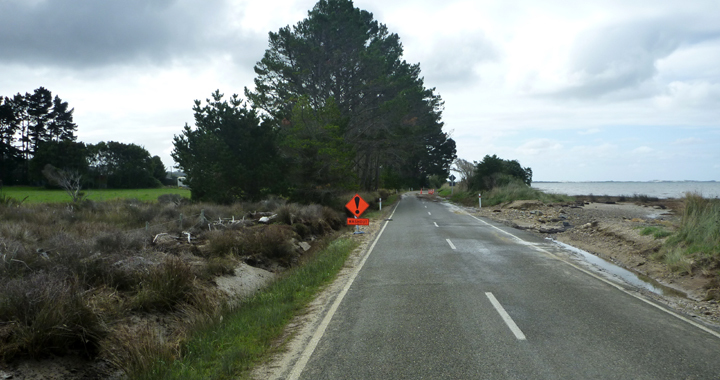 Fullerton would have loved those roads…..
gorgeous beaches! 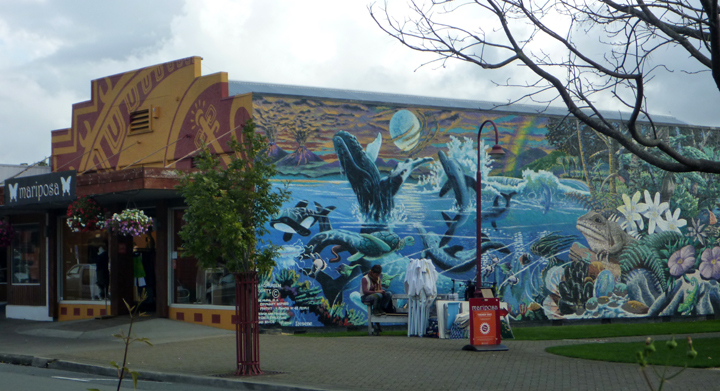 I love the whale mural.